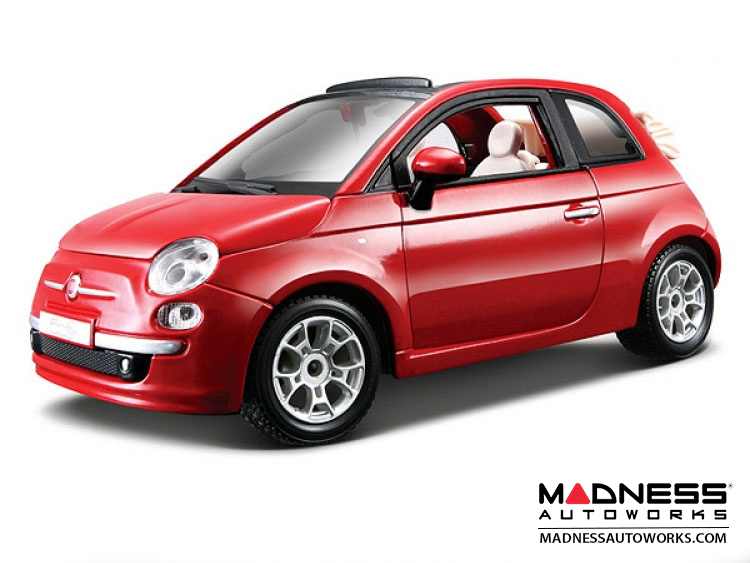 Add this FIAT 500 Cabrio Die Cast Model 1/24 Scale to your FIAT collection! This listing is for a FIAT 500 Cabrio Die Cast Model (1/24 Scale) in Red by Bburago. The model comes with a movable steering wheel and opening doors.